Tucked up in the Great Pacific Northwest is a city that began its history known for its rugged loggers, intrepid fisherman, and enterprising pioneers. The people who established and then built a great city out of a soggy wilderness were fiercely independent, resourceful, and ingenious. Just consider Bill Boeing—his last name alone tells you what he accomplished. Only about 65 years after white settlers founded a town they called Seattle, Boeing, who’d benefitted from the lucrative logging industry, founded the Boeing Airplane Company (his first workshop is still on Boeing property in Seattle). Today, while a few Seattleites are still as resourceful and ingenious as Boeing—Microsoft’s Bill Gates and Paul Allen come to mind—fiercely independent, sadly, is no longer among the general character traits of Seattle’s populace. Seattle’s social justices have beaten that virtue out of its people. To illustrate my point, just look at the leftist, economy-choking, socialist collectivists this city puts in the mayor’s office and on its city council. While I live outside the city-limits, I still care about Seattle government because it affects the police department and its cops I served among for so long. 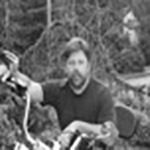 When I moved to the Seattle area in 1986, I marveled at how politically and socially “live and let live” the city was. A leftist flavor was on the increase with an influx of Californians, but there seemed to be a community pride in Seattleites’ tolerance for other opinions—political and otherwise. It seemed a sense of the rugged, northwest individualism remained. Seattleites didn’t seem threatened by other people’s points of view. Back then, I was already a Libertarian (big “L”), but slightly left-leaning. Today, I’m solidly libertarian (small “l”) and well on the conservative side. But, as I found out when Seattle’s city government and media attacked me for writing an article opposing the social justice indoctrination of the police department, disguised as law enforcement training, this city ain’t no longer tolerant of nobody but the far-left echo chamber. And then, I heard news that infused me with a great sense of that spectacular word borrowed from German culture: Schadenfreude (SHädənˌfroidə). Essentially, it means to derive pleasure from someone else’s misfortune. Now, that might be seen as a tad nasty. But, in this case, it applies to people who’ve brought political misfortune upon themselves. Well, what I’m about to relate brought me a great sense of Shadenfreude. Just four weeks ago, I wrote about the city council voting to enact a “head tax” on Seattle’s largest businesses: Alaska Airlines, Amazon, Starbucks, etc., which are all Fortune 500 companies and are among some of America’s largest employers. The city settled on a $275 per employee per year tax, ostensibly to “solve” a “homeless” crisis. Well, since it’s a fact that every time the city spends more money on the problem it gets worse, they might want to try another strategy. Another strategy like, oh, I don’t know…like maybe the mayor, city attorney, and city council could apply laws equally—to everyone, and then maybe allow the cops to enforce those laws. I know, it’s a radical concept, but I’ve heard equal justice is a pretty good concept. A surprisingly large number of otherwise liberal Seattleites strongly opposed this punitive, anti-economic-growth tax. 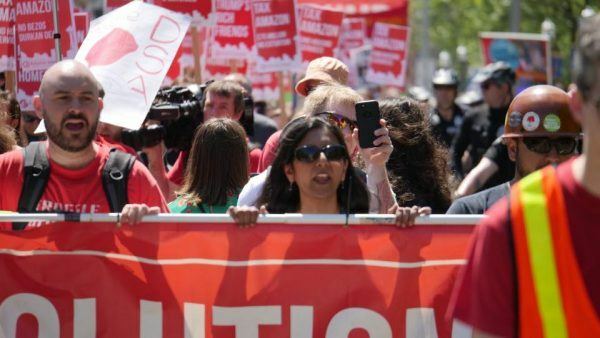 In fact, construction workers working on a project for Amazon were so miffed, they shouted down openly- socialist city council member Kshama Sawant who was speaking in support of the tax at a public event. I generally oppose shouting down anyone—that’s a patently leftist tactic. But I’ll admit to experiencing a bit of Schadenfreude for that, too. As they say: bit of their own medicine. Sawant led the charge for the head tax and, somehow, the force of her shrill, fanatical manner seemed to intimidate her fellow council members into a political suicide chamber. In short, the city council passed the head tax, and Mayor Jenny Durkan (D) signed it. 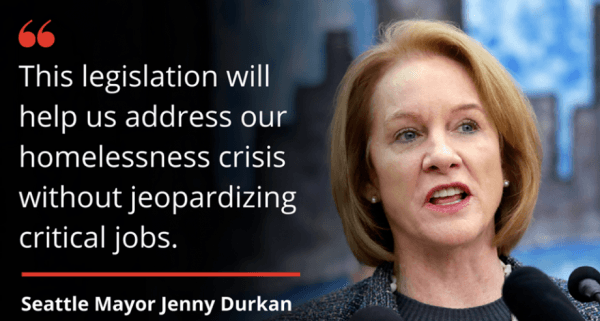 Fast-forward only one month later, and the city council repealed the head tax, and Mayor Durkan signed it—I guess she feels strongly both ways. Almost immediately, after passing the head tax, opponents began an effort to bring a city referendum to repeal it. Support for repeal was so keen, even in a city whose people you’d think had never seen a tax they wouldn’t vote for, people lined up to sign petitions to put the anti-tax referendum on the ballot. The Seattle Times reported socialist Kshama Sawant, of course, was one of the two votes against repeal, calling it a “cowardly betrayal” of working people. Now, I thought the tax was to raise money to help the “homeless,” who, last I checked, are mostly unemployed. Anyway…fellow far-far-left city council member Teresa Mosqueda also voted against the measure. Sawant went on to publicly call-out Seattle councilmembers for repealing the head tax. Schadenfreude washed over me like a warm shower after a frigid, rain-soaked October motorcycle ride. Hearing just a few of the comments from the city council shows their disconnect with reality and their lame attempts at political cover. Council member Bruce Harrell, whom I know a bit, and who is actually a pretty nice guy, said he supported repealing the tax because he listened to his constituents—this time. His constituents let him know plenty loudly enough before he voted to pass this economic growth killer. His contradiction tells us at least some things remain consistent. A statement released by Mayor Durkan in support of repeal declared, “We heard you.” Well, it took freakin’ long enough. What frauds and fakes. Now, they try to act as if they’re serving the public whose votes they so often take for granted and whom they treat so paternally and dismissively: Look, see how we’re responding to what the voters want? Yeah, after not responding to what the voters didn’t want. Just another in a long line of, Trust us; we know what’s best for you. You’ll thank us in the end. I’m happy to see that Seattle’s uber-lefty leaders can still go too far even in this far-leftist enclave. It means there’s some hope. Of course, all it takes is to see socialism actually put into practice and the immoral system proves its own failings. In fact, you know what? It gives me a wonderful sense of…what’s that called again? Right…Schadenfreude. Is Having a Disability the Same as Being Discriminated Against?